The Cincinnati Symphony Orchestra (CSO)’s Classical Roots returns to historic Cincinnati Music Hall on Friday, April 20, at 7:30 p.m. following the iconic hall’s extensive $143 million renovation. An unwritten portion of Music Hall’s rich and diverse history will be explored and celebrated in this year’s, one-night-only performance conducted by John Morris Russell with the theme Under One Roof. 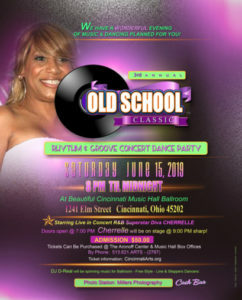 Classical Roots is an annual Cincinnati tradition that celebrates African American musical heritage and brings together friends and neighbors for a shared concert experience. This year’s concert captures the original spirit of Classical Roots by shining a spotlight on Greater Cincinnati’s rich musical heritage including the great artists who performed at the Greystone Club. Selections this year will include music by African American composers, such as Eubie Blake and James Reese Europe. The program will also recognize Marion Anderson, the first African American to perform on stage at Music Hall’s Spring Auditorium. Tickets for Classical Roots start at $25 for full view seating and are $10 for limited view. Tickets can be purchased by visiting or calling the CSO Box Office at (513) 381-3300 or visiting www.cincinnatisymphony.org/classicalroots. 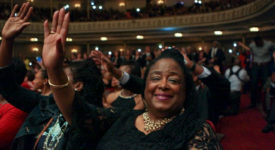 The Classical Roots Community Mass Choir, which is comprised of 150 volunteer singers representing dozens of area churches and prepared by director William Henry Caldwell with local music ministers, returns as a staple for the annual concert. This celebrated ensemble will honor African American icons who performed in Music Hall’s Ballroom and Springer Auditorium, including Duke Ellington, William L. Dawson, and Rev. James Cleveland. 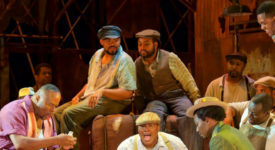 The choir will also perform selections from Gershwin’s masterpiece, Porgy and Bess. Classical Roots also features the CSYO Nouveau Chamber Players, a celebrated string ensemble comprised of talented African American and Latino student musicians, as well seven CSO/CCM Diversity Fellows, who will perform together on stage for the first time since Music Hall’s grand reopening in October. The CSO is proud to announce its inaugural Classical Roots Artist-in-Residence who will be working with CSO musicians, local students, and members of the community April 2 to 5. 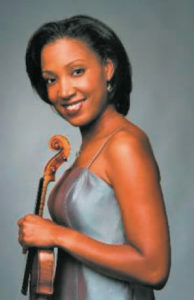 Acclaimed violinist and community activist Kelly Hall-Tompkins will be on hand to share her journey from student to professional as an African American classical musician, including traditional experiences to more entrepreneurial pursuits. She was named The New York Times’ 2017 New Yorker of the Year and her YouTube videos have garnered over 1,472,000 views. Hall-Tompkins, whose work as founder of Music Kitchen, a not-for-profit that takes high-level classical music performances to homeless shelters in New York City, has inspired CSO musicians to join her in a performance of Stravinsky’s The Soldier’s Tale for clients at the City Gospel Mission as part of her residency. They will also join her in recital on April 5, 7 p.m. at First Unitarian Universalist Church, with a program that includes Samuel Coleridge-Taylor’s Clarinet Quintet and music from her latest recording, The Fiddler: Expanding Tradition. 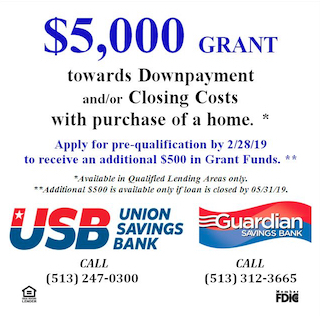 First Unitarian Universalist Church is at 536 Linton Street in Avondale. Recital tickets are $10 and can be purchased through the CSO box office and website, 513.381.3300 or www.cincinnatisymphony.org. TajMo: Legendary Bluesman Taj Mahal and Keb’ Mo’ Bring Their Grammy-Winning Band to the Taft!